A uniquely wild adventure camp in the GTA, where families ( ages six and up) stay overnight and explore the African Savanna right in Toronto. 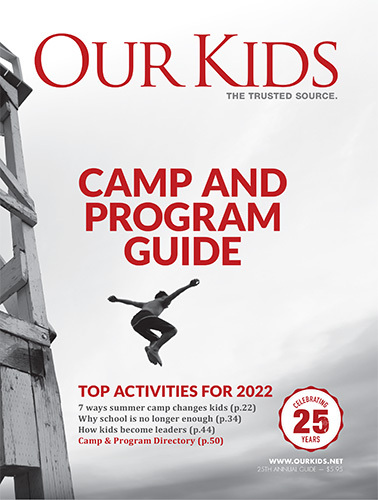 An outdoor adventure day camp surrounded by nature just north of Toronto for ages 4 to 14. Summer camp at the Toronto Ripley's Aquarium offers your kids an exciting learning experience into the wonderful world of water and aquatic life. For kids aged 5 to 13. Exciting themed camps offered throughout the year at our downtown facility, including weekly field trips, guest speakers and delicious home cooked meals and snacks! Before and after care is also available. A specialized co-ed summer camp for children who are passionate about horses and the sport of English riding. Located in Québec, offering a bilingual experience. Awarded the CCA Award of Excellence in 2014. Designed for boys and girls between the age of 7 - 16 to provide additional physical literacy to those who would like to further develop their athletic skills. There are a variety of animal camps that encourage children to interact with zoo animals. These kinds of camps are ideal for your budding zoologist or veterinarian. It's hard to imagine a camp more fun than one that allows children to interact with and learn deeply about wild animals. Some of these zoo camps focus on weeklong interaction, with some that even permit a sleepover that may or may not include parents. There are camps such as Camp Muskoka that do allow children to interact with animals for a day or an afternoon. Other camps do take day trips to local zoos. No matter what, an animal camp encourages your child to grow in one-of-a-kind ways. As one camp director has said: "Kids [at animal camps] transfer the respect they learn from the animals into their day-to-day lives." In addition, learning respect for animals can increase their respect for others. Often, the experience of animal camp can have a profound impact on children as they choose a career or otherwise go out into the world. For kids specifically in love with horses, please view our listings of horse riding camps.